Update your baby's wardrobe with the best of ethnic outfits from the house of Bownbee. Clothes that are the perfect blend of elegance, style & glamour. Attractive design and vibrant shade of this set makes it a must-have for your little baby. BownBee aims to provide latest and trendy dresses for young girls and boys. 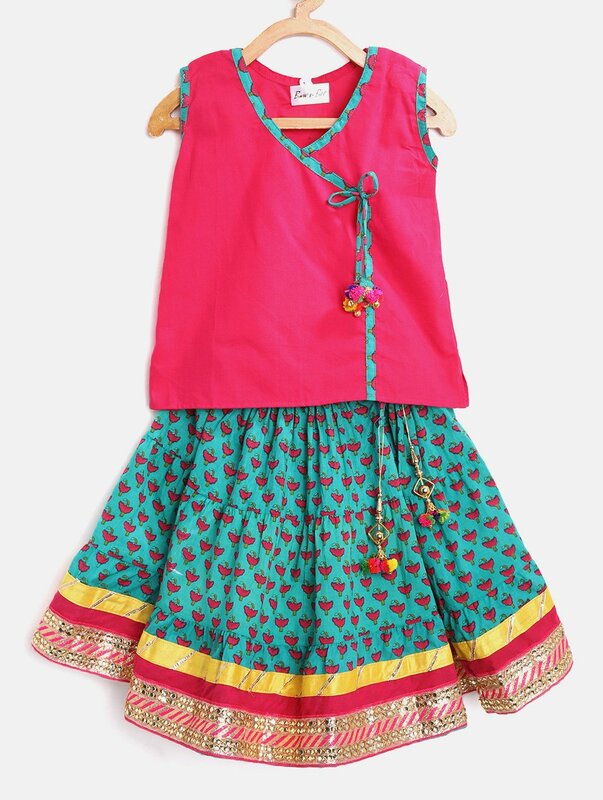 Inspired by Indian culture, they wish to bring a fresh perspective to kid's fashion industry by bringing an exclusive range of Indo western and ethnic dresses at affordable price. Their range includes party wear, ethnic, Indo western and smart casuals. Their designers combine best of fabric with best of designs to make an outfit that's not only designer but also comfortable. They don't produce in bulk so all their dresses are limited edition to ensure little customers stand out of the crowd on every occasion!